For one or two persons, 147 euros. 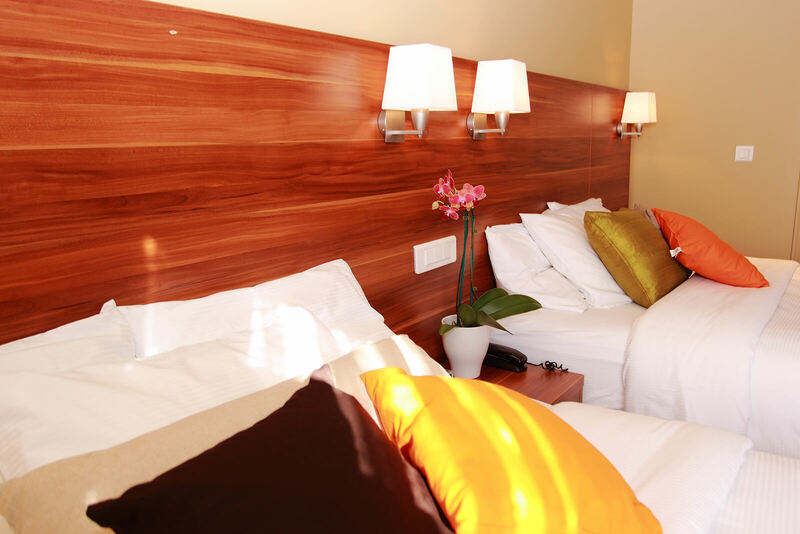 Additional guests: 32 euros for adults and 15 euros for children under 12 years of age. 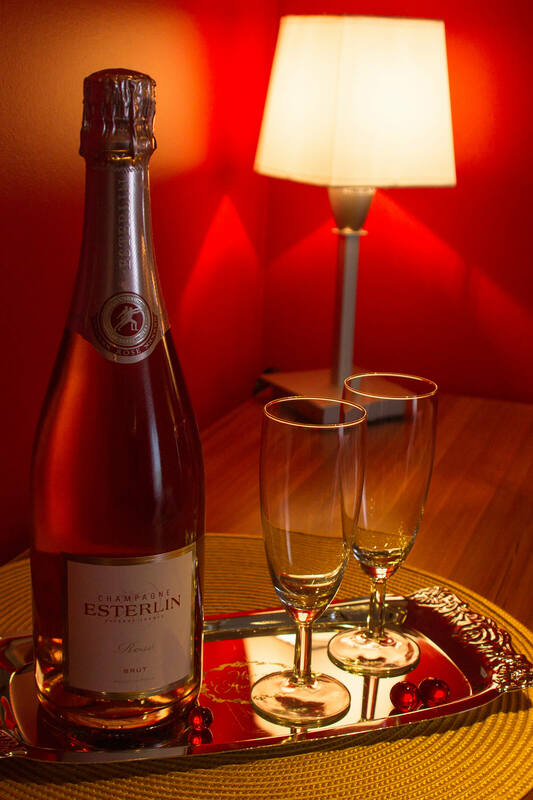 88 euros/night for one person and 98 euros/night for two people, breakfast included. 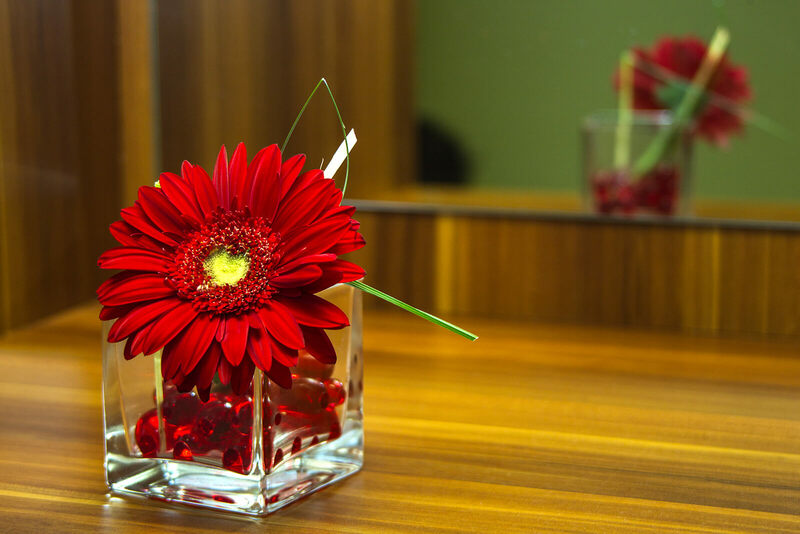 During this period, when making your reservation, please let us know if you require any additional services. Upon arrival you are presented with a courtesy platter that we are pleased to offer our guests. 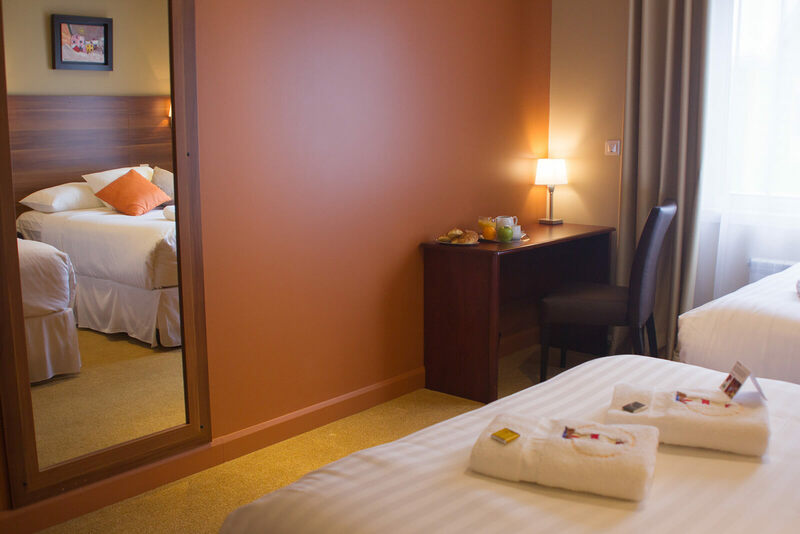 You will be impressed by the radiance, peacefulness and inviting comfort of our standard plus room. 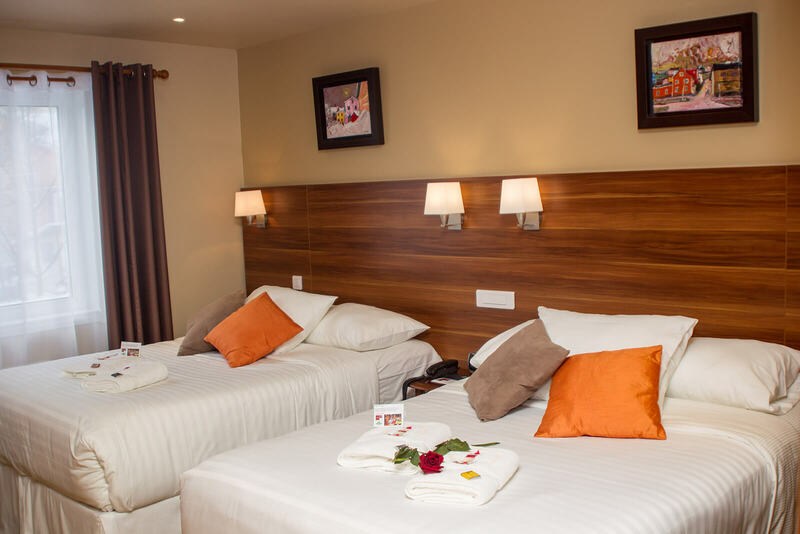 This spacious room is warm and welcoming, and includes two deluxe double beds and full private bathroom with a shower, hairdryer, AC shaver socket, etc. As with all our rooms, these rooms are non-smoking rooms. 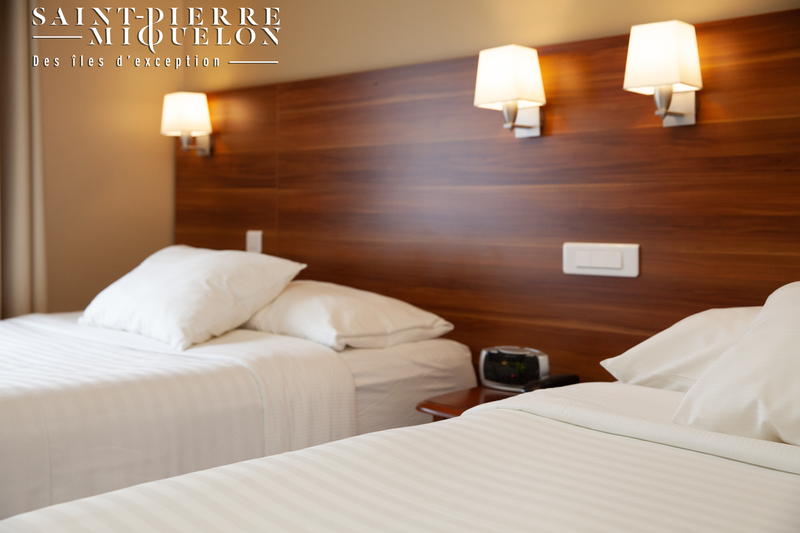 Our staff’s attentive service and attention to detail will make your stay at our Auberge a memorable one.